Locating the best life insurance rates for individuals who suffer with diabetes is more difficult than most people realize. Insurance agents have to fully understand all the products that are available and they must also have an ability to convey the client's medical condition to the life insurance underwriters in an appropriate manner. Click Here for Own Quotes! Applicants who have controlled diabetes generally have a better chance of lower cost life insurance than do those who suffer from poorly controlled diabetes. Those with poorly controlled diabetes unfortunately will have to shoulder a higher cost policy and will often have to invest in an insurance plan which guarantees acceptance. This is called "guaranteed issue life insurance". Of course, guaranteed issue life insurance is more expensive than regular life insurance for diabetics, and it will only be sold as “whole life insurance”. Nevertheless, there are benefits to this type of insurance because it offers cover for the lifetime of the client and not merely a term period. Furthermore, it builds a cash value too. Typically, if the insured dies within the initial 3 years of the inception of the policy, the beneficiary will receive the premiums already paid into the policy plus a further 10% interest. After that initial 3 years, the full death benefit is paid out should the insured pass away. The bottom line is, getting cheap life insurance rates is not easy for a diabetic. What do Life Insurance Companies Look Into When Insuring Diabetics? Diabetes type: if all else is equal then type 1 diabetics (those who were diagnosed when they were children) is more costly than type 2. Nevertheless, a type 2 diabetic can actually pay more where their level of control is poor. Some life insurance companies rate according to the use of insulin. The age of diagnosis: age plays a major factor where cost is concerned. Rates are often lower when diagnosis occurs at a later age providing that the diabetes is controlled and over-all health is good. Nevertheless, there are policies available to those who have type 1 diabetes and who were diagnosed when they were young children. Length of time: generally, the longer the period of diabetes, the higher the cost of life insurance. Level of control: those who suffer with constant protein in their urine, mild neuropathy, occasional diabetic comas, or a blood glucose reading which regularly rises above 10 are still able to buy life insurance but it will be more costly than for those who have few to no side effects and a low blood glucose history. The fact is that those who have well controlled diabetes may be able to purchase the same life insurance as someone with good health. Amount of Medication: for those with diabetes, should they take lots of medication it does not necessarily imply a more costly life insurance policy. After all, many doctors utilize medication to control diabetes because the medicine works well together and it reduces any potential for side effects. Nevertheless, some medications do indicate a more problematic form of diabetes, in which case the cost of life insurance will rise accordingly. 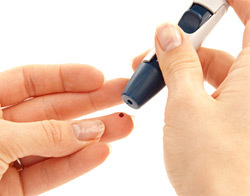 Can you get life insurance if you have diabetes? Can I get life insurance if I'm a diabetic? Can I get affordable rates with diabetes? The answer is, if you keep your diabetes well controlled and can prove it to the insurance company, the chances are very good you'll be able to get coverage. In order to find the very best insurance rate, it’s important to use a specialist who fully understands the medical implications that diabetes poses. The specialist insurer will also be privy to the best product available given the circumstances.